(model # 81419) Stock # I95196 VIN# 3PCAJ5M34KF124182 MSRP: $47,730. Two or more available. 39 month lease with 10,000 miles a year with approved Tier 1 credit through INFINITI Financial Services. $1,999 initial down payment, $0 Security deposit. Excludes , 1st months payment, tax, tag, title, registration, $300 doc fee (not required by law), and $700 acquisition fee. Lessee may be charged for excessive wear & tear plus $0.25/mile for mileage over 10,000 miles/year. Expires 04/30/2019 *Financing is subject to INFINITI Financial Services Tier 1 credit approval. Offer ends 04/30/2019. Must take delivery from new retailer stock. See participating retailer for details. Subject to residency restrictions. Cannot combine with other offers. (model # 84619) Stock # I95193 VIN# 5N1DL0MM0KC559793 MSRP: $48,845. Two or more available. 39 month lease with 10,000 miles a year with approved Tier 1 credit through INFINITI Financial Services. $0 initial down payment, $0 Security deposit. Excludes 1st months payment, tax, tag, title, registration, $300 doc fee (not required by law), and $700 acquisition fee. Lessee may be charged for excessive wear & tear plus $0.25/mile for mileage over 10,000 miles/year. 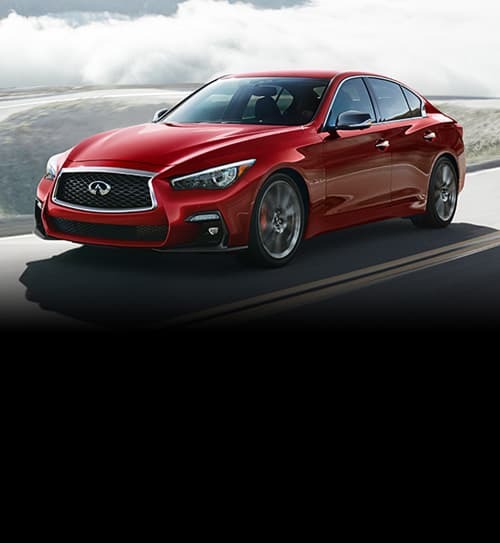 Expires 04/30/2019 *Financing is subject to INFINITI Financial Services Tier 1 credit approval. Offer ends 04/30/2019. Must take delivery from new retailer stock. See participating retailer for details. Subject to residency restrictions. Cannot combine with other offers. (model # 83219) Stock # I95169 VIN# JN8AZ2NE8K9231578 MSRP: $70,955. Two or more available. 39 month lease with 10,000 miles a year with approved Tier 1 credit through INFINITI Financial Services. $3,999 initial down payment, $0 Security deposit. Excludes 1st months payment, tax, tag, title, registration, $300 doc fee (not required by law), and $700 acquisition fee. Lessee may be charged for excessive wear & tear plus $0.25/mile for mileage over 10,000 miles/year. Expires 04/30/2019 *Financing is subject to INFINITI Financial Services Tier 1 credit approval. Offer ends 04/30/2019. Must take delivery from new retailer stock. See participating retailer for details. Subject to residency restrictions. Cannot combine with other offers. The all-new 2019 INFINITI QX50 was designed with one thing in mind: You. Every inch, every feature and every innovation has been carefully designed to inspire, enhance and fulfill your inherent potential. From the world's first production-ready Variable Compression Turbo engine and empowering ProPILOT Assist technology to a driver-centric design, you are the center of QX50's universe. As your premier Ellicott City INFINITI dealer, we here at J.B.A. INFINITI OF ELLICOTT CITY provide for your every automotive need. Please feel free to explore our website to see our extensive inventory of new and used cars and SUVs. In addition to our friendly and knowledgeable sales staff, we also provide financing, service, and parts. Come visit us, give us a call, or contact us via this website and let us show you why our customers prefer J.B.A. INFINITI OF ELLICOTT CITY. As your INFINITI dealer in Ellicott City, we carry a large selection of used and new vehicles. If you need help finding us, check out our hours and direction page. At J.B.A. INFINITI OF ELLICOTT CITY, we look forward to helping you into the vehicle you deserve.